What Will Happen on the Day Christ Comes Again? On a day not far distant, Christ Himself will return to the earth. What will that day be like? We rely on the scriptures to tell us this story but even when we rely on the best sources, it is often difficult to see how all the pieces fit together chronologically. But there is a coherent story. I find it fascinating—riveting really. On that incredible day there “will appear one grand sign of the Son of Man in heaven,” said the Prophet Joseph Smith. “But what will the world do? They will say it is a planet, a comet, etc. 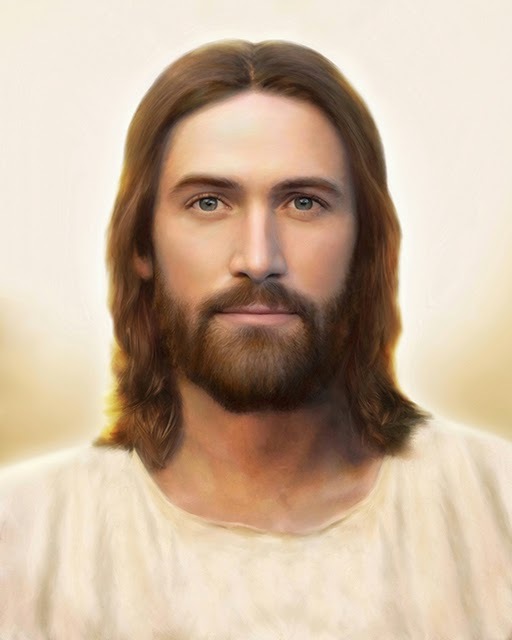 But the Son of Man will come as the sign of the coming of the Son of Man, which will be as the light of morning coming out of the east” (History of the Church, 5:337; Matthew 24:27; D&C 45:36; Joseph Smith—Matthew 1:26). On that day, we will see Him “in the clouds of heaven, clothed with power and great glory . . . with all the holy angels” (D&C 45:44). Enoch prophesied that “the Lord cometh with ten thousands of his saints, to execute judgment upon all, and to convince all that are ungodly among them of all their ungodly deeds” (Jude 1:14–15). What we will see and hear on that day will be very convincing. When Christ comes again, it will be a day of vengeance. We read that He “shall be red in his apparel, and his garments like him that treadeth in the wine-vat” (D&C 133:48). Why will His garments be red? He answers that question for us: “I have trodden the wine-press alone, and have brought judgment upon all people; and none were with me; and I have trampled them in my fury, and I did tread upon them in mine anger, and their blood have I sprinkled upon my garments, and stained all my raiment; for this was the day of vengeance which was in my heart” (D&C 133:50–51; Isaiah 63:2–4; Revelation 19:13–15). On that day of vengeance, “the Lord shall utter his voice, and all the ends of the earth shall hear it; and the nations of the earth shall mourn, and they that have laughed shall see their folly. And calamity shall cover the mocker, and the scorner shall be consumed; and they that have watched for iniquity shall be hewn down and cast into the fire” (D&C 45:49–50). Unfortunately, that great day will be an unhappy day for many. “And the kings of the earth, and the great men, and the rich men, and the chief captains, and the mighty men, and every bondman, and every free man, hid themselves in the dens and in the rocks of the mountains; and [will say] to the mountains and rocks, Fall on us, and hide us from the face of him that sitteth on the throne, and from the wrath of the Lamb: for the great day of his wrath is come; and who shall be able to stand?” (Revelation 6:15–17). Just before that time, all nations will be gathered against Jerusalem and the city will apparently be under siege. Half the city will be taken captive but “the residue of the people shall not be cut off from the city” (Zechariah 14:2). On that glorious day, Jesus will set His foot upon the Mount of Olives, just east of Jerusalem, and there will be a great earthquake. The mountain will split in two, to the north and south, and there will be a great valley through which the residue of the Jews in Jerusalem will escape (see D&C 45:48; Zechariah 14:4–5). On that day of great awakening, the remnant who escapes will finally recognize their King. The Lord says, “the Jews [will] look upon me and say: What are these wounds in thine hands and in thy feet? Then shall they know that I am the Lord; for I will say unto them: These wounds are the wounds with which I was wounded in the house of my friends. I am he who was lifted up. I am Jesus that was crucified. I am the Son of God. And then shall they weep because of their iniquities; then shall they lament because they persecuted their king” (D&C 45:51–53; Zechariah 13:6). In summary, on that day of all days, Jerusalem will be under siege and half the city will be taken captive. Christ will descend with holy angels and there will be a great sign in heaven. All the ends of the earth shall hear His voice. Many shall see their own iniquity and shall attempt to hide from His wrath. He will be in red apparel for it will be a day of vengeance. His foot will touch the Mount of Olives, east of Jerusalem. There will be a great earthquake and the mountain will split in two, creating a great valley, through which the residue in Jerusalem will escape. Then they will recognize the wounds in His hands and in His feet and mourn for their iniquities and how they persecuted their true King. I am not overconfident in my own private interpretation of these events, but as best as I can tell, this is what will happen when the arm of the Lord shall fall upon the nations on that great day (see D&C 45:47). Good summary. Some other big items: water flowing from the temple, the return of Zion, the fall of the star Wormwood, two prophets testifying and being killed, establishment of the Mountain of the Lords House, spreading of the Gospel to every land, Lamanites blossoming as the rose, and of course the battle in the Valley of Decision. Of course the exact nature and timing of many of these is speculative. My experience is that prophecy is to help us recognize these great events as they unfold rather than to tell the future. Thanks for the comment, Gil. I am hoping to cover much more in the coming months — signs leading up to the event and what will happen after. I appreciate your insight. And thanks for the link! The Primary song we used to sing — “I Wonder When He Comes Again” — I suppose reflects the innocence of children who won't bear any of the guilt that will make it a day of vengeance. I wonder, though, how those innocents will respond to the terrors of that day.